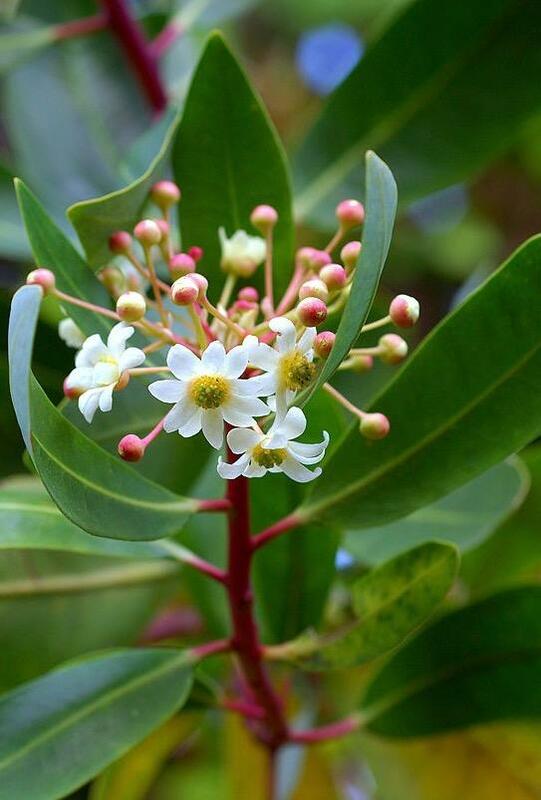 Evergreen large shrub or small tree with bold lanceolate leaves, aromatic when crushed. Clusters of fragrant cream flowers, June to July. Black fleshy berries follow. Sun or semi shade. 5m tall. Protect when young from severe winter.